Australian algae producer Plentex Limited has signed an agreement to acquire Biovite Australia Pty Ltd, a biotechnology company which does research and development and commercialisation of bioactives for use in human health, animal health and agriculture. With the acquisition of Biovite, Plentex will now be able to market its product range under the Biovite brand, according to the ASX statement. The product range will include a “superfood” algae sold in powder and capsule form, a carotenoid that promotes eye health, an antioxidant, and an algae based Omega 3 oil. Biovite will be central to Plentex’s business, which currently revolves around the identification, sourcing, production and marketing of high value products that can be extracted from micro and macro algae. Biovite has significant background in the R&D of algae derived bioactive which is proven to have strong anti-fungal and other beneficial properties. 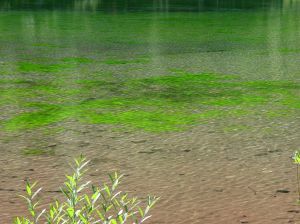 The algae bioactive has dermatological applications and also has potential use in animal health and agriculture. Biovite’s pharmaceutical and anti-fungal products are currently being sold in Australia and overseas markets. The products have TGA approval in the country and have the required approvals in overseas markets where the products are sold. “Plentex acquiring Biovite will bring about synergistic benefits to both businesses and allow Biovite to grow in a new environment that is well resourced, funded and has access to the expertise needed to relaunch the extensive current product range both in the local and already identified international markets,” according to the statement. The consideration payable for the Biovite acquisition will consist of a combination of $2,500,000 cash, 5,100,000 fully paid ordinary shares in Plentex, and 2,550,000 options exercisable at $0.30 to acquire fully paid ordinary shares expiring on 31 July, 2016.